Today we welcome Louise on our 31 Days of Love Series – except it isn’t really 31 Days anymore.. right? 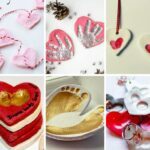 But more like 35.. but how can I resist all those great Love Crafts and celebrating Valentine’s Day with fellow bloggers from around the world? 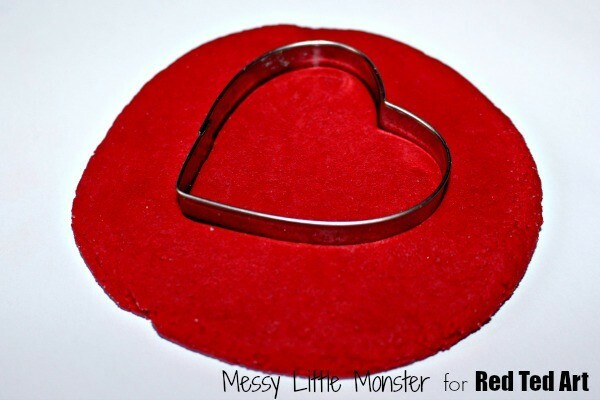 So today, we have another Valentine’s Day craft for you – cute little Thumbprint Heart Magnets! 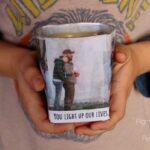 A super cute gift and great little keepsake that kids can make and that would make a great Valentine’s Day gift for friends and family. 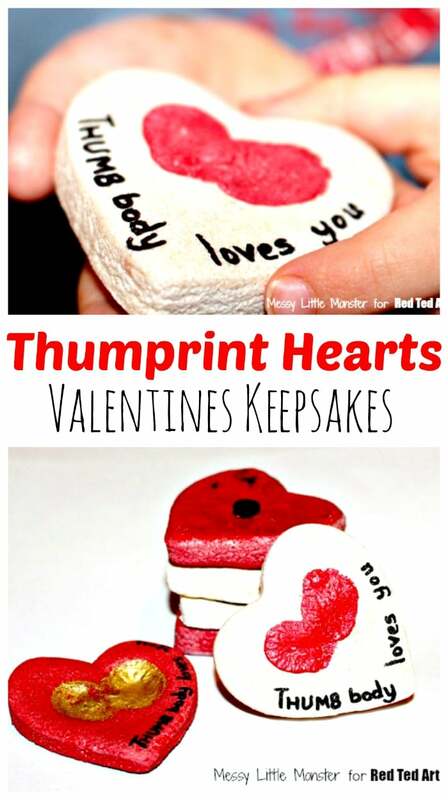 These thumbprint hearts make wonderful keepsakes to make on Valentine’s Day! 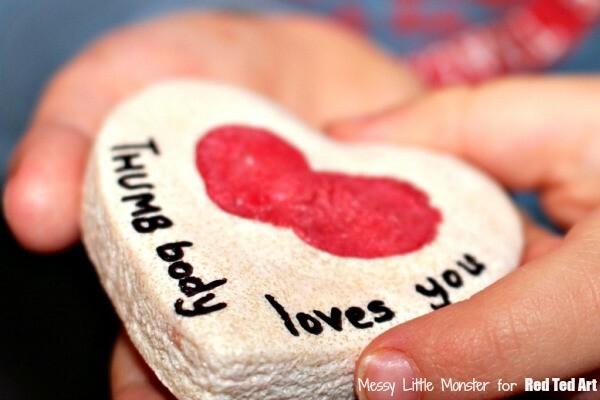 The perfect Valentine’s Day Gift for Toddlers to make. Gorgeous. 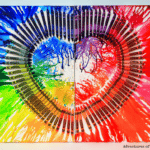 Check out the remaining 31 Days of Love posts here! There are lots to browse! 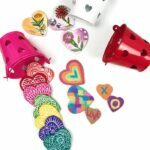 Also check out our Gifts That Kids Can Make section! Over to Louise! 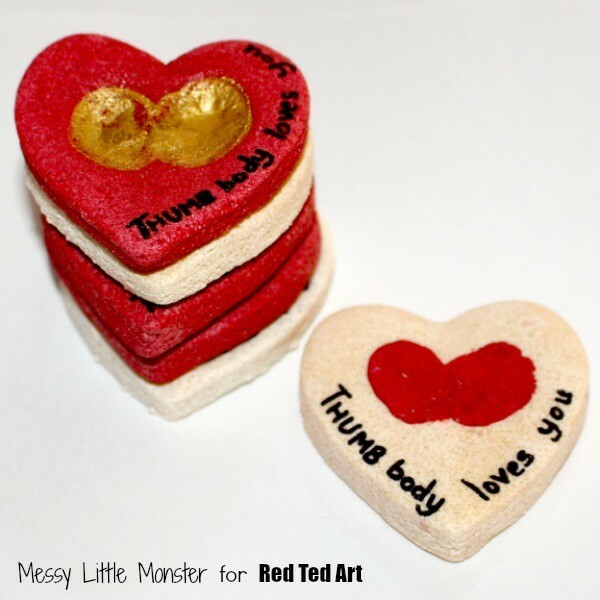 Hello, I’m Louise and I am sooo excited about guest posting over here at RED TED ART (one of my all time favourite blogs!) Thanks Maggy! I blog over at “Messy little Monster’ and I would love you to pop over to see all the crafts, activities, and adventures I get up to with my little monster Harry (3) and his baby sister Daisy (5 months). You can also find me on facebook and pinterest. I am a primary school teacher and I LOVE anything arty, Harry loves making a mess and Daisy just smiles at everything. 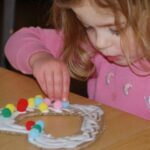 We have lots of arty, crafty, messy fun together and I would love to share our creations and activities with you. I absolutely love being able to capture my kids tiny little prints, whether its handprints, footprints or fingerprints, as they really don’t stay small for long! 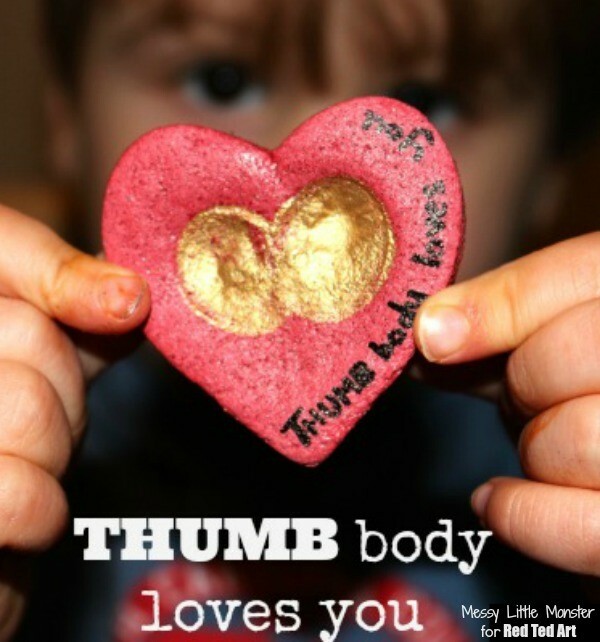 Today I am delighted to be able to share these gorgeous thumbprint magnets with you. 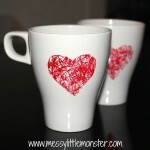 They would make great valentines or Mothers day gifts (if you don’t keep them as a keepsake for yourself). Salt dough is super easy and versatile to make – simply mix the following (adding the water gradually). 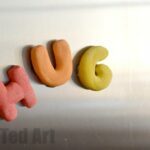 You can add some good quality red food colouring to your salt dough and colour it red ahead of time. Or you can paint your salt dough red afterwards. We have used paint to colour salt dough in the past, but found that we got best results with the good quality food colouring! Affiliate links have been added – should you choose to buy via these links, I will earn a commission. We made up a batch of red and natural coloured salt dough. 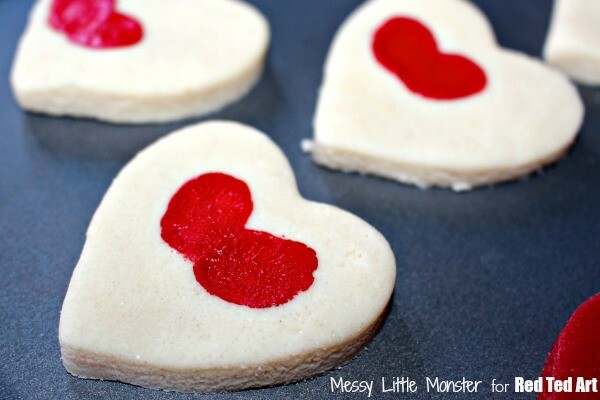 We flattened our salt dough and cut out several heart shapes using a biscuit cutter. Harry dipped his thumb into some acrylic paint and I helped him make 2 thumbprints on our salt dough in the shape of a heart. We used red paint on the natural coloured salt dough and gold for the red salt dough. We then left them to dry. You can bake them in the oven at a low temperature (about 150 degrees) or leave them to dry in a warm room for a couple of days. Once our hearts were dry we sealed and varnished them. We used Mod Podge all in one sealer glue and finish but you could try PVA glue. 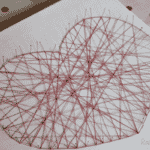 Once the varnish had dried I had a smooth surface ready to write our message ‘THUMB body loves you’. I used a fine black sharpie. 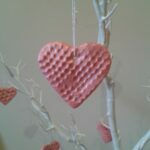 I glued a small magnet to the back of each salt dough heart! 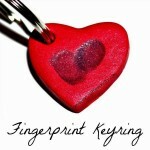 Do you know anybody that would love to receive a thumbprint magnet? 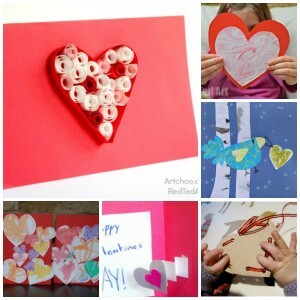 Check out a round up of last year’s Valentine’s Day Card ideas? 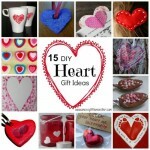 14 in total – one of each Valentine’s “Day”…. 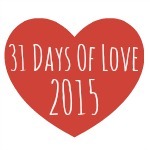 Full listing of 31 Days of Love posts here! This is the 1st time I’ve made salt dough as an adult and it’s been a long time. Mine didn’t turn out right. It was very gummy and never got to the consistency of dough. What did I do wrong? Also, when baking them, how long do you bake them? It sounds as it may have been a little wet to begin with. I would be tempted to crank the heat up in the oven and bake them hotter – BUT watch them so that they a) don’t burn and b) they can can “bubble up” a bit – so keep an eye and if they do that, press down the bubble (unless you like the effect, which can be nice! And do turn them. How many hours do you bake them on low temp?